**If you want the "big picture" about freelancing and are serious about making your freelance writing business a money-maker, I suggest my freelance classic, Six-Figure Freelancing: The Writer's Guide to Making More Money, Second Edition. **If you're more interested in getting into ghostwriting and content marketing, I suggest Goodbye Byline, Hello Big Bucks: Make Money Ghostwriting Books, Articles, Blogs and More, Second Edition. 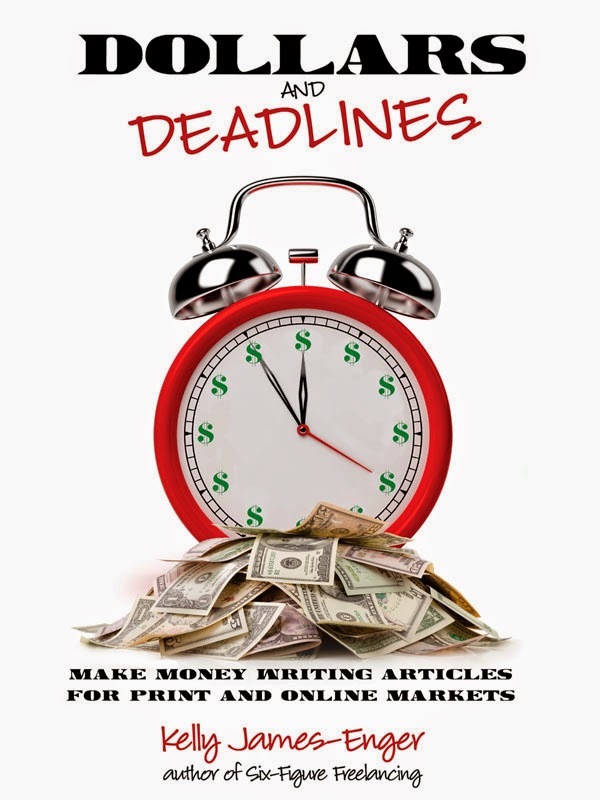 **If you're brand-new to freelancing, Dollars and Deadlines: Make Money Writing Articles for Print and Online Markets walks you through the process of launching your freelance career. **Finally, if you like your books full of shorter pieces, check out a different format--Writer for Hire: 101 Secrets to Freelance Success is divided into five broad sections to help you make more money regardless of what kind of nonfiction writing you do. And if you can't find the answer in one of those hundreds of posts, or in one of my books, shoot me a brief email at kelly at becomebodywise dot com, and I'll be happy to help. Thanks for being a reader, and I wish you all freelance success! Q: Jodi, tell me a little bit about the class. A: Query Boot Camp is a six week virtual class. Every Monday, I send a video lesson related to querying; on Friday, participants email a query and I do an in-depth critique that helps them hone their idea and pitch to increase their chances of landing an assignment. I offer an upgraded version of the class that includes three 30-minute phone mentoring sessions. We can spend the calls doing a deep dive into a specific idea and brainstorming angles and potential markets or use the time to develop goals/business strategies for freelance success. It's a good option for writers who want extra support to launch or build their writing business. Q: What can participants expect to get out of the class? A: Writers, myself included, often send ideas to editors without the benefit of a second opinion. Having an experienced freelancer review a pitch before the editor sees it can mean the difference between an acceptance and a rejection. As the saying goes, "You never get a second chance to make a first impression." Your query is your first introduction to an editor; you want to make sure it shines. Offering the class virtually lets writers work at their own pace (and we know how much freelancers like to set their own schedules)! Q: What made you decide to offer this virtual class? A: I kept getting requests for a query intensive. Even experienced writers with a lot of clips in their portfolios wanted to have their queries critiqued before sending them off to new editors or dream publications. Q: You also offer one-on-one mentoring/coaching for freelancers, correct? What does that entail? A: Yes, I work one-on-one with writers who want individual support to reach their freelancing goals. Writers can hire me for a single query critique or an hourlong phone call to work through an issue or get feedback on an idea...whatever a writer needs to sell a story or take their business to the next level. Interestingly, query critiques are the most in-demand service I offer! Q: Can you share a couple of success stories from your students? A: I love bragging about my students! The nuts and bolts: I've helped writers break into Natural Health, Parents, Experience Life, Urban Farm, Gluten Free Living, Natural Home & Garden, Modern Dog, Country Woman, Today.com and cottagelife.com. While the publishing credits are exciting, there are other successes that are important, too. A writer scheduled a one-hour session for help managing her workload. She was offered three long-term projects, all due in the same timeframe, and wanted to tackle all of them but knew she didn't have the bandwidth to accept all three gigs. We talked about the pros and cons of each project, crunched some numbers and, most importantly, evaluated which project would get her one step closer to her long-term goals. At the end of the call, she made a decision and followed through. I also helped a former newspaper journalist (who left the business decades ago to pursue another career path) launch a successful freelance career. He recently sent me an awesome email that said, "It's all coming together. I suddenly have more work than I can handle." Query Boot Camp starts in January, 2015; sign up now and you can write off the expense on your 2014 taxes--and reap the benefits in 2015! ***Looking for more advice about pitching and successful freelancing? Check out my freelance classic, Six-Figure Freelancing: The Writer's Guide to Making More Money, Second Edition. If you're more interested in getting into ghostwriting and content marketing, I suggest Goodbye Byline, Hello Big Bucks: Make Money Ghostwriting Books, Articles, Blogs and More, Second Edition. And if you're brand-new to freelancing, Dollars and Deadlines: Make Money Writing Articles for Print and Online Markets walks you through the process of launching your freelance career. Last week I posted about my ongoing marketing blitz--just in time for the holidays. Step 1 is reaching out to current and past clients; step 2 is one that many freelancers overlook. It's following up on your outstanding pitches, LOIs, and other attempts to connect with new clients. Hope your week is off to a great start. I'm writing to follow up on my pitch about how kettle bell training can help with weight loss; for your convenience, I've included it below. Would you let me know within two weeks if you're interested in the idea? If I don't hear from you by December 17, I'll assume you're not interested in it at this time, and may market it elsewhere. Thanks for your time, and I look forward to hearing from you soon! Typically a follow-up provokes a response, but if I don't hear anything within the deadline, I go ahead and pitch it to another market with no regrets. And if the editor says, "no thanks," I resub it in the same manner, and come up with a new idea that she may be able to use. Last week one of my follow-ups resulted in an assignment; three "we'll-be-in-touch" responses, and an "no thanks." That's not a bad track record from taking the time to follow up on outstanding queries. *** Want more advice about drumming up work as a freelancer? Check out my freelance classic, Six-Figure Freelancing: The Writer's Guide to Making More Money, Second Edition. If you're more interested in getting into ghostwriting and content marketing, I suggest Goodbye Byline, Hello Big Bucks: Make Money Ghostwriting Books, Articles, Blogs and More, Second Edition. And if you're brand-new to freelancing, Dollars and Deadlines: Make Money Writing Articles for Print and Online Markets walks you through the process of launching your freelance career. With Thanksgiving just behind us and Christmas, New Year's, and countless parties and chores (shopping, wrapping, holiday cards, you name it) descending, it's sometimes tempting to let the marketing part of your freelance business slide right now. Trust me--this isn't the time to do it. That's why I'm engaged in a big marketing push for the next three weeks--my goal is to line up enough work for early 2015 that I can take the week between Christmas and New Year's off (I do this every year) without worrying about a lack of assignments when I return. Step 1? Touching base with my regular clients--and those who used to be regular clients, but who I haven't worked for in the last few months. A quick email or note can result in new assignments, and at the least, it gets my name in front of them again. That's my first priority for this marketing push. ***Want more advice about marketing? Check out my freelance classic, Six-Figure Freelancing: The Writer's Guide to Making More Money, Second Edition. If you're more interested in getting into ghostwriting and content marketing, I suggest Goodbye Byline, Hello Big Bucks: Make Money Ghostwriting Books, Articles, Blogs and More, Second Edition. And if you're brand-new to freelancing, Dollars and Deadlines: Make Money Writing Articles for Print and Online Markets walks you through the process of launching your freelance career. How to use your experience to break into different types of writing work. Hope to "see" you there...come prepared with any questions I didn't address in Six-Figure Freelancing: The Writer's Guide to Making More Money, Second Edition; Goodbye Byline, Hello Big Bucks: Make Money Ghostwriting Books, Articles, Blogs and More, Second Edition; and Dollars and Deadlines: Make Money Writing Articles for Print and Online Markets. First off, thanks to my readers who participated in the one-day only $0.99 sale last Wednesday, November 19! I sold 177 copes of Dollars and Deadlines: Make Money Writing Articles for Print and Online Markets, Second Edition and 40 copies of other ebooks. So that was very cool, and I hope I've gained a few more readers! Thanks again! Were you at ASJA's Con Con earlier this month in Chicago? If not, you missed out on a great conference that was loaded with smart, insightful speakers geared toward writers who produce content for clients. Here's a roundup of some of the take-aways from keynoter Jay Heinrichs, author of Thank You for Arguing (who was a great speaker--engaging, funny, and prepared) made the point that in 1865, writer Henry James was getting paid $1/word. Today that's the standard for many publications, today too, but the cost of living has increased by a factor of 21since then. Yikes! You only want to write? Change your thinking. "In the past, publishers would have audiences for us...today we're all expected to be marketers," said Heinrich. Heinrich talked about the "decision journey" of engagement customers take--ideally, they travel from awareness to consideration to preference to purchase to loyalty. As a content writer, you want to help move them along that journey and help them become loyal to the brand you're representing. KPIs, or "key performance indicators" or metrics, are how the success of content is measured. Knowing what KPIs your client is tracking--and what their goals are--will help you succeed as a content writer. 1. Become an influencer. An influencer brings something--market reach, expertise, persuasiveness--that a client values. And companies pay $200 to $200,000 to have an influencer write about or represent a product or service. 2. Find a "tiny niche," which Heinrichs describes as including 100,000 to 400,000 people. 3. Gain legitimacy with a book. 5. Start a publishing company. 10. Pursue your passion--and work a real job in the meantime. 15. Find your own great story. I gleaned some other tips from ConCon which I'll share in another post. In the meantime, if you're thinking about doing ghostwriting or content marketing, check out Goodbye Byline, Hello Big Bucks: Make Money Ghostwriting Books, Articles, Blogs, and More, Second Edition. It's HERE! The One-Day-Only $0.99 Sale! The one-day-only $0.99 sale is here. For 24 hours (and 24 hours only), you'll be able to buy 12 different freelance books (including one of mine) that will help you make MORE MONEY as a freelance writer. You'll find books by authors including Carol Tice, Linda Formichelli, Diana Burrell, and Jennifer Lawler--and you'll save 1000% (or more) when you buy these books today. This special offer ends at midnight, November 20, so what are you waiting for? Spend some money and reap the rewards of your (frugal) investment! Coming This Wednesday--Great Deal on Freelancing Books! I'm participating in a one-day only special promotion with several other successful freelancing authors...it will launch and run on Wednesday, November 19, ONLY...stay tuned for details! I've posted before about the importance of an effective letter of introduction, or LOI. It's an essential weapon in your freelance arsenal, and can be just as effective, if not more so, than a query letter. There is no one-size-fits-all LOI. And even if you have a template for an LOI, you should never send the same LOI to two different markets. You must customize your LOI the same way you would customize a query letter--and that means including the most essential element in your LOI. That element is this: why you are contacting the potential market. I know, I know. You want money. You want work. You want clients. That's the reason you sent your LOI. Duh! But that's not enough for your target market. You must have a reason that works for him or her--and that reason will make the difference between an LOI that gets deleted or ignored, and one that prompts a response. Here's an example from one of my LOIs: "I'm contacting you because I know you produce nutrition-related content for a variety of clients, and I've written about diet and nutrition for a variety of consumer and custom publications." The "why" can make all the difference to your potential client...and to your future with this client. **Want to see more examples of LOIs that worked? Check out the ones included in Six-Figure Freelancing: The Writer's Guide to Making More Money, Second Edition and Goodbye Byline, Hello Big Bucks: Make Money Ghostwriting Books, Articles, Blogs, and More, Second Edition. I get a lot of questions about ghostwriting from writers who are new to the field. How much should you charge? How do you negotiate a contract? How do work efficiently with a client? • What kind of book do you want to write? • Who's the audience for the book? • Why do you want to write this book? • What have you done already? Do you have an outline? A rough draft? Or just an idea? • What's your time frame? • Why do you want to hire a ghostwriter? • What kind of publisher do you plan to pursue? Traditional? POD? Or will this be an e-book only? • How did you find out about me? Why are you interested in hiring me? • How do you envision working with a ghostwriter? 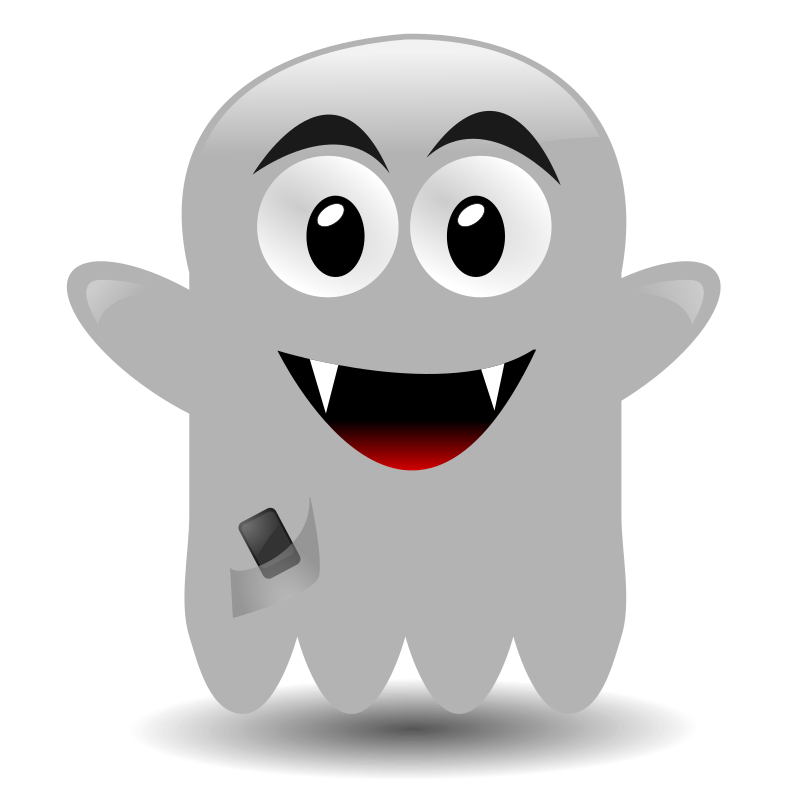 • What are you planning to spend on a ghostwriter? • How will you plan on marketing the book once it's published? Pay attention to your potential client's answers. In general, the more detailed and thoughtful they are, the more serious the person is about hiring a ghost. **Want to know more about ghostwriting? Check out Goodbye Byline, Hello Big Bucks: Make Money Ghostwriting Books, Articles, Blogs and More, Second Edition. My regular readers know I'm a fan of talking money, and sharing what I make for different types of work. So today I'm sharing more straight talk (and actual figures) about royalties. There's a lot of confusion from would-be authors about how advances and royalties work. In short, an advance is an advance against royalties--meaning that the publisher offers you money to write the book against your share of what the publisher expects the book to make. However, the majority of books fail to "earn out," or make enough that the author receives royalties. That's why I suggest that authors assume that the advance is all that they'll see for a book--and one of the major reasons I started doing more ghostwriting. Total Sales 701 (minus returns of 57) = 644 sales during this period, 4642 total since its publication. I've produced $4096.22 in royalties, which offset against my $5,000 advance, means I'm still $903.78 in the hole. That's the bad news. Total Sales 639 (minus returns of 70) = 569 sales during this period. What does this mean? You might think "nothing." I disagree. Both the print and electronic sales are up, even though the book has been in print for more than two years, and I believe that's a good sign. It may be due to the fact that I'm constantly marketing all of my books on freelancing. It may be due to the fact that it's a great book, and that readers are recommending it to fellow writers. (I hope so.) But it may also be due to the fact that it's been around long enough to get noticed, and picked up at a bookstore, or ordered because it's been mentioned by another writer, or in one of my bylines, or at a writer's class, conference, or event. Or a combination of all of these factors. All that matters to me is that it's continuing to sell--and that means a year from now (sooner than that if sales really take off), I should be seeing my first royalty check for a book I wrote three years ago, and that was published two years ago. Good things come to those who wait. **Readers, do you have questions about royalties, publishing, book contracts, or POD? Comment here with them and I'll be happy to answer!